The calendula is a long time favorite among gardeners. 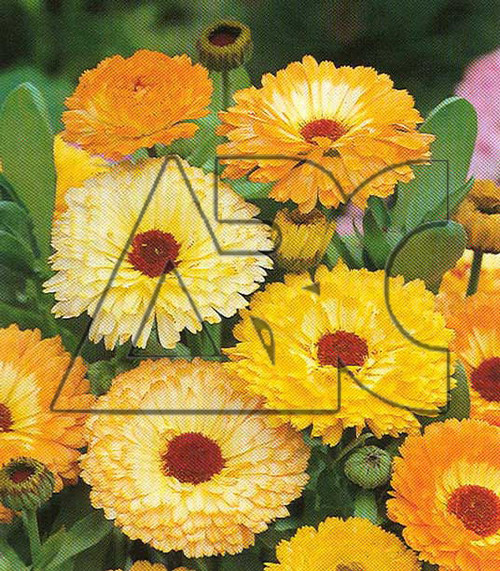 Also called English marigold, this plant has been grown since the Middle Ages and was known to Shakespeare. Calendula is an annual flower that prefers cool growing weather but nevertheless is tender and killed by frosts. Depending on variety and culture, the plants grow 12-30 in (30.5-76.2 cm) in height and about as wide. The leaves are bright green and typically about 4 in (10.2 cm) long. The lower leaves are oval with a rounded tip (spatulate) and upper leaves are lance shaped with pointed tips.